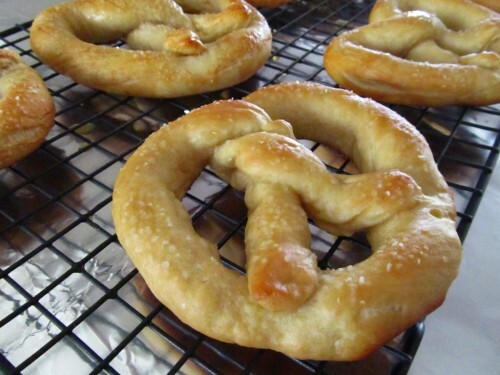 Easy Homemade Soft Pretzels Recipe – Vegan Soft Pretzel Recipe – Easy Soft Pretzel Recipe | Cook Eat Delicious! Mall Pretzels. You smell them as soon as you enter the mall. You don’t really plan on buying one, I mean you just ate lunch. But the aroma! It gets stronger and stronger as you casually window shop. All you can think of is getting your hands on one of those freshly baked pretzels…Imagine if you could have that same aroma at home. I made these pretzels for some friends from Jersey. They say that one of things they miss most about living in the states is Mall Pretzels. So I made these for a road trip to Morelia. 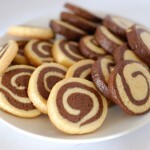 They are vegan and turned out delicious. It was hard to share them! 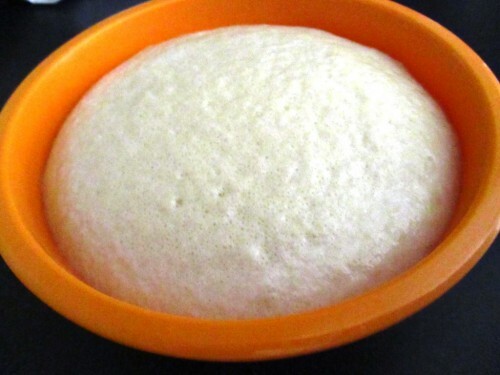 Delicious Rating: This recipe is a yeast dough recipe, so if it isn’t your first time making a yeast dough I am sure you will be fine! 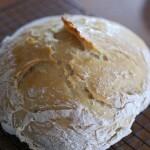 The dough is gorgeous when you knead it, feels fantastic. The pretzels turn out so soft and ‘buttery’. My DH seriously thought I put butter in this easy recipe because they taste of butter. Nope, I am not sure what it is but these vegan bad boys are better than any Mall Pretzel I have ever had. 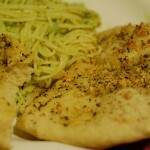 This is a Vegan Recipe! Serve with mustard. In a small bowl combine yeast, 2 tsp white sugar, and warm water. Let stand for 10 minutes. 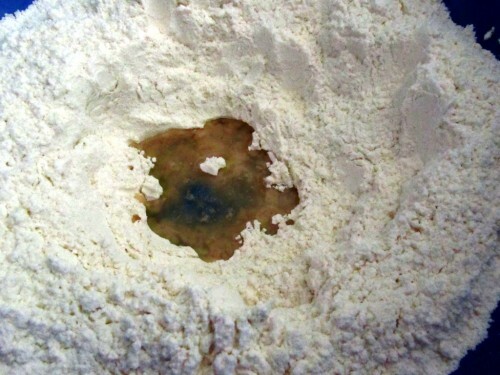 In a large bowl, combine 3½ cups flour, ½ cup sugar, and 2 tsp salt. Add in oil and yeast mixture. 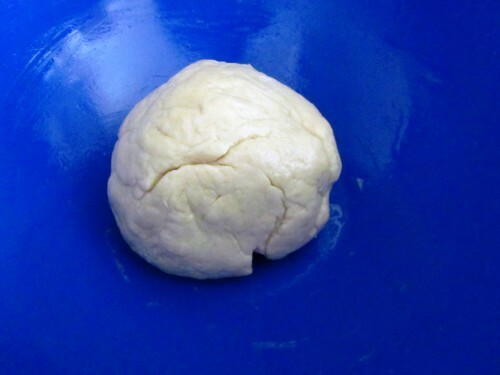 Mix to form a dough ball and knead in ½ cup of flour. Knead until dough is elastic and smooth, 8 minutes. 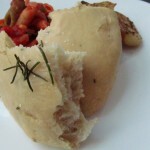 Lightly oil a large bowl and place dough ball inside and cover and let rise in a warm place for 1 hour. Bring water to a light boil. Dissolve baking soda in hot water and remove from heat. Divide dough into 12 pieces. 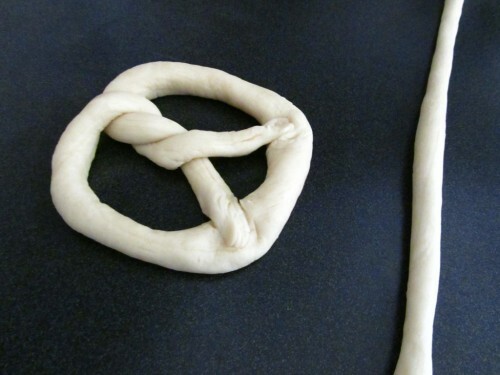 Roll out each piece into a rope and twist into pretzel shape. 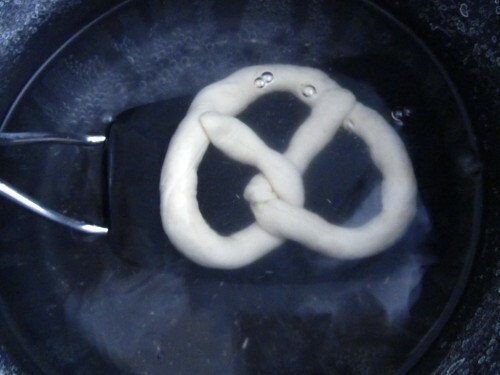 Dip each pretzel into baking soda water and place on a greased baking sheet. I’ve created a yeast monster! This was such a pretty dough to knead by hand. It was smooth and elastic. But if you don’t want to do that, you can do the first 6 steps in a mixer using a dough hook. I couldn’t remember how pretzels are shaped…I give you three options, but pretzel sticks, bits, twists are just as good too! Don’t leave out the baking soda bath, it is essential for the browning of the pretzel and the hard exterior and soft interior. 1. Is it really necessary to put 6 tsp yeast? It’s quite a lot. Does it leave a yeasty flavour when you eat the pretzels? 2. By hot water, do you mean boiling water? 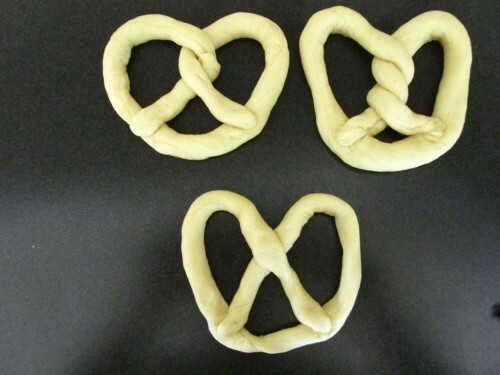 I love pretzels, but the first and only time I made them, they turned out super tough. Too tough to chew. I didn’t find that there was a hint of a yeasty flavor at all, but you can try 3 or 4 tsps and it might end up the same! You can bring the water to a light boil before adding the baking soda and then remove it from the heat, I edited the instructions! 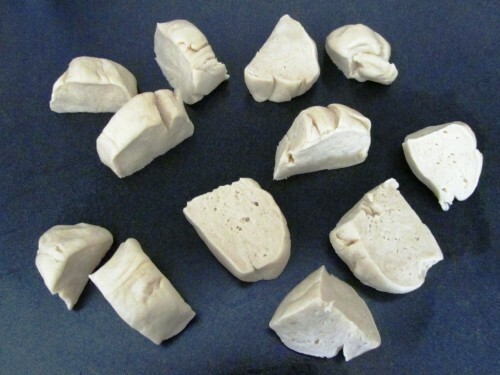 These are super soft and easy to chew, let me know how they turn out! I didn’t realize that the process is so similar to bagels (i.e., boiling). 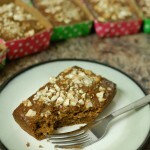 I’m going to ask my baker (I cook, my wife bakes) if she’d like to try this during the holidays. Hopefully she doesn’t already have other plans. I made these and they were AMAZING!! I was in vegan Heaven for about an hour and a half after eating them. I hate like 6, which I know is really terrible, but they were the best things I’ve eaten since I can remember! I’m making them for a presentation for college and I wanted to do a test batch. My presentation is tomorrow and I’m PSYCHED to make these for the whole class! I think I’ll get an A just for having the best friggin’ homemade soft pretzels on this side of the universe. P.S. I’m pretty sure I blacked out at some point while tasting these for the first time. The word ‘hate’ shouldn’t be anywhere NEAR these pretzels! Pashley! I am so glad you like them! 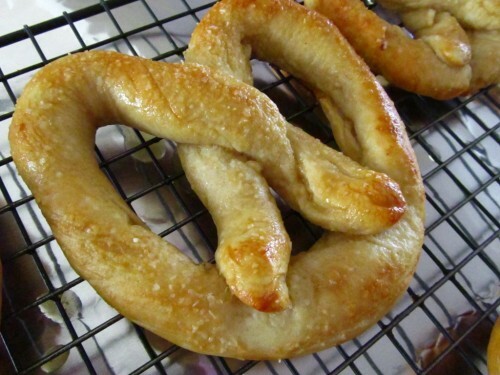 This is my favorite pretzel recipe and I love that they are vegan, nobody would ever guess! I hope your presentation goes good! I am making this recipe as I type, but, i think i used too much water. 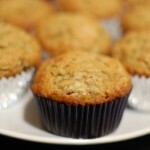 1 and 1/4 cup…I had to add more flour to neatly knead the dough into a ball. Did i misunderstand something? No, that is the right amount Marina, 1 and 1/4 cup of water in yeast to the 4 cup flour is a perfect ratio should work perfect! Sorry it didn’t turn out. Let me know how it goes! surely you made a typo … 1 CUP of baking soda!!? I put it in and it made a volcano explosion! Did you mean 1 tbsp ? No typo Hannah, the one cup of baking soda goes into the 4 cups of water, so no explosion! The baking soda bath helps give the pretzels a nice outer exterior with a soft inside! I had a volcano explosion as well with the baking soda 😀 However, aside from THAT…these turned out fantastic! Only problem is…I’m a party of one and there ARE leftovers (although probably not as many as there SHOULD be) ;o) How do you suggest storing them and for how long? I am glad they turned out Teresa, I love these pretzels! I keep mine in a ziploc on the counter, but you can even freeze them and reheat them in the microwave or oven another day! Have you ever tried to use a different sweetener? I would love to try this but white sugar isn’t something that I use anymore. Maybe honey? I haven’t tried a different sweetener but I am sure honey would be fine, especially since it is such a small amount. I had the same problem as Marina when it came to the flour and dough kneading. I just put as much flour as needed and they came out delicious. I am glad they came out delicious Arielle! And thanks for telling me about the excess liquid, I am going to look into it and see what measurement is not correct, thanks! I am so glad they turned out perfect Melody! Plus, it is good to know that a bread maker works for the dough, thanks for the tip! Thank you! They turned out so great. Did you use fast acting powdered yeast here or is it some other sort of yeast? Janie, right now I don’t have any posted but keep checking back for future recipes! I made these today. They turned out FABULOUS! I had no idea that I could do this. I cannot buy them at the mall because they use funky ingredients that vegans do not consume. (Untrustworthy telling the truth 😉 ) I LOVE the Kosher salt, crunchy & soft texture. Thank you for posting. I saved it in my vegan file of recipes. They ROCK over mall pretzels any day!!! Thanks Angela! I am so glad you found them to be FABULOUS!!! 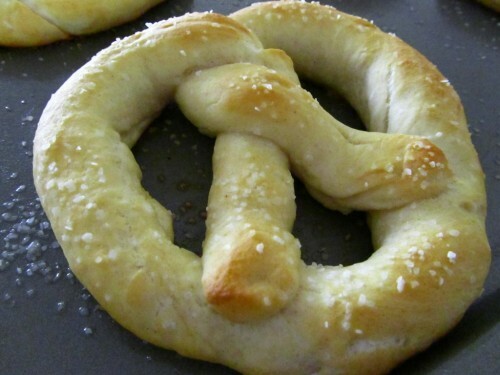 National Pretzel Day today! Found your recipe online and made homemade pretzels for the first time ever. They came out PERFECT. Easy and fun to make.